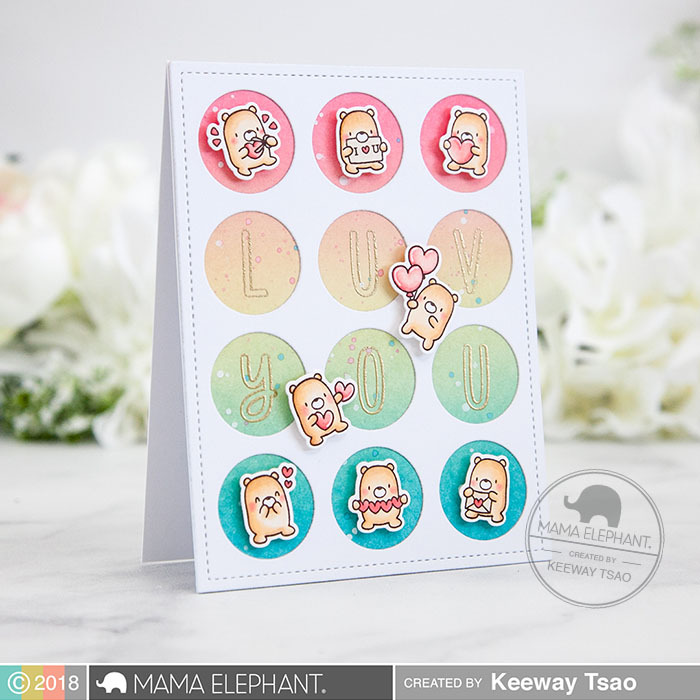 19It’s time for the Mama Elephant Stamp Highlight series! 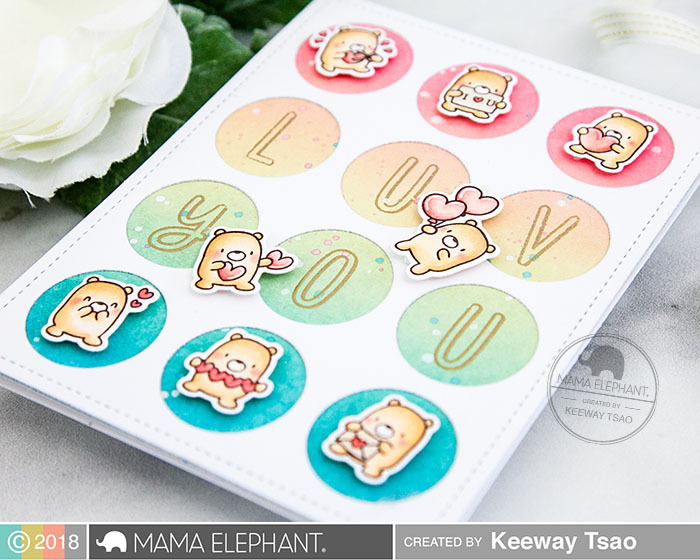 Up first is the little cutest bunch of all, the Little Bear Agenda. 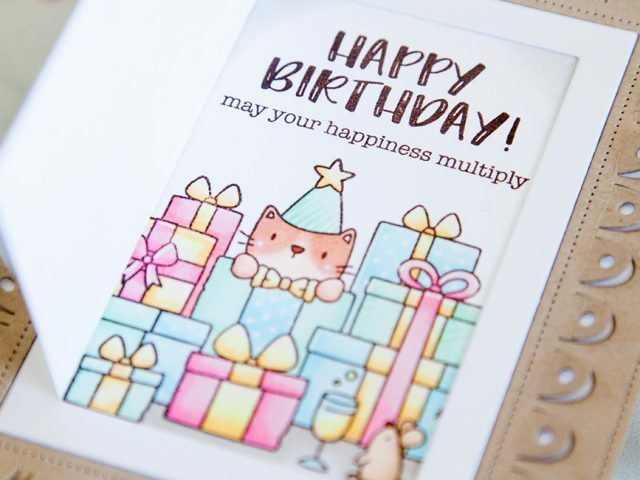 Any additions of these little agenda line makes every card instantly adorable! 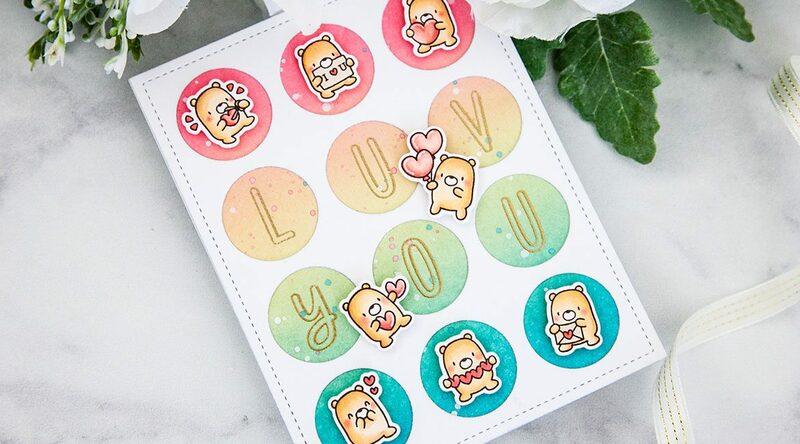 The new Circular Grid creative cuts were designed with the little agenda line in mind, and is perfect to fit these adorable little bears. I die cut the panel out of white card stock. Then, I layered behind it a colorful ink blended background using Broken China, Antique Linen, and Worn Lipstick distress oxide inks. And of course I added a little splatter for fun. With the two layers together, I was able to position a few letters to fit inside the circles. 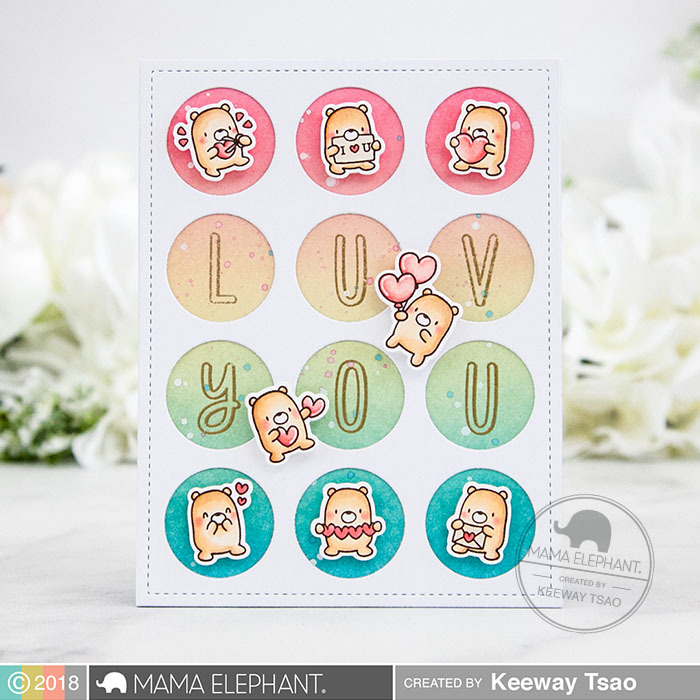 I spelled out the words ‘LUV YOU’ using the Color Me Letters stamp set by stamping it with Versamark ink and heat embossed it in gold. My bears were stamped in a dark brown hybrid ink and colored with copic markers. My favorite part is always the coloring! I then die cut each of these out with the coordinating dies. Then arranged them inside and outside the circles, and added them with foam squares. 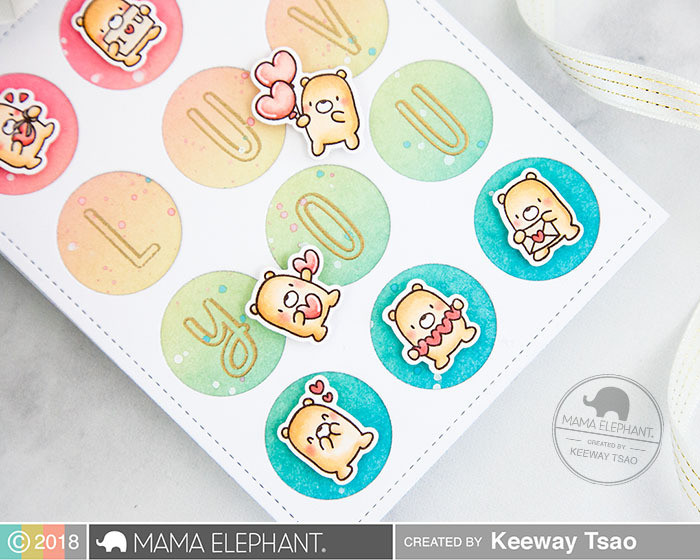 Hope you enjoyed today’s colorful and cute project. 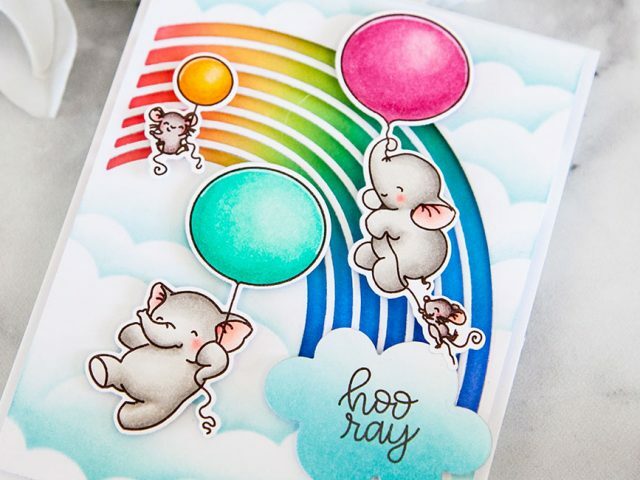 Be sure to come back tomorrow for more stamp highlights featuring the November Release! This is so cute. I would never think to use these three colours together but it’s just lovely. Thanks for sharing your creativity.